1). Use a good amount of floss so that you can hold it correctly. Don’t skimp – you’ll need at least 18 inches of floss. 2). Tighten the floss by holding it between your thumb and index fingers and use an up and down motion to guide it between your teeth. 3). As you hold firmly against the tooth, curve around the base making a “C” shape to go gently below the gum-line. Don’t force it, as you may accidently bruise or cut your gums. 4). For cleanliness, use fresh sections of floss as you go. 5). If it’s difficult, use a tool like floss picks or interdental brushes. These can be especially helpful for older or younger people who have a hard time flossing correctly. 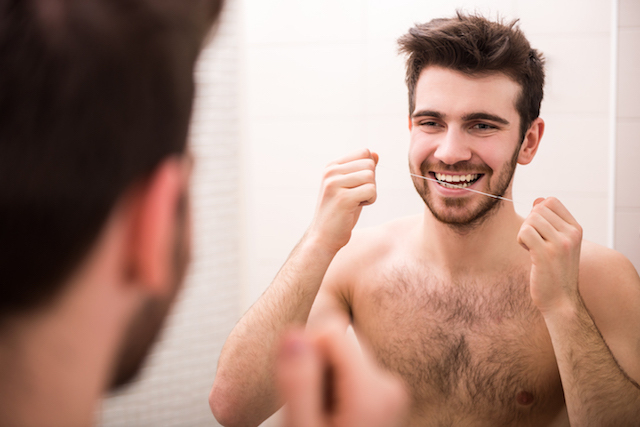 Have questions about your flossing routine? Schedule an appointment with your dentist. Find a dentist near you here.